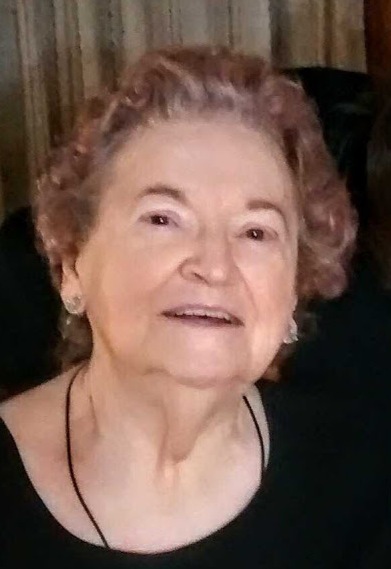 Elizabeth “Libby” Oldham Nall, age 85, of Sanford, passed away peacefully on Tuesday, September 11, 2018 at her home, surrounded by her loving family. A Celebration of Life will be held on Thursday, September 13, 2018 at 11:00 a.m. at Cox Memorial Funeral Home Chapel with Pastor Chad Nall officiating. Burial will follow at Emmanuel Baptist Church Cemetery. The family will receive friends one hour prior to the service at the funeral home. Libby was born in Chatham County on April 12, 1933 to Marvin and Olive Oldham. She had a generous spirit and a pleasant personality, she was loved by many and had a wonderful smile that could light up a room. She was a loving mother, aunt, grandmother and friend and will be greatly missed by all who knew and loved her. She is survived by her children, Dora Cockerham of Holden Beach, Randall “Randy” Nall Sr. of Sanford and Denise Suggs also of Sanford; grandchildren, Penny Cockerham, Tyler Suggs, Magon York and Randy Nall Jr. and nine great-grandchildren. She was preceded in death by her husband, Clarence Nall; parents, Marvin and Olive Oldham; sisters, Inez Boyd and Elaine Hart; brothers, Theron, Victor and Leon. Condolences may be sent to www.coxmemorialfuneralhoem.com.